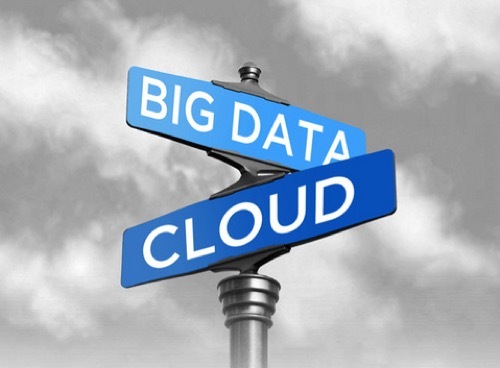 Is Big Data a Big Bubble Or a Goldmine? Big data is our big obsession. It feels like every week a new infographic comes out that outlines the amount of data being created every minute online. The stunning numbers, showing the amount of email, Facebook posts, video and blogs flying across the Internet, really are enough to stop you dead in your tracks. But big data has seemingly stalled in a lot of business circles. Perhaps it is a contextual issue, or maybe it was just a lack of comprehension, but the real question is: Is big data really all it is cracked up to be, or has it lost its meaning? Let’s dig a little deeper. No matter how much we fuss about data today, let’s face it, it has always been there. Always. What has changed, though, is the speed at which data multiplies. The three Vs of big data — namely volume, variety, and velocity — are changing at such a rapid pace that most businesses simply don’t know what to do, let alone how to makes sense of it all. Besides the stacks in their repositories, businesses see the growing mountain of data in the form of emails, texts, social data, etc. on a daily basis. It’s messy and chaotic. However, big data is also a goldmine of information that predicts customer behavior, the changing market needs, and patterns and shifts that reveal where things are headed. To let go of the opportunities this information presents is not just bad business sense, it’s a grave mistake that may cost companies millions of dollars in lost revenue. You may ask, “In an age where businesses are expected to run on tighter budgets, can big data promise a higher ROI?” If you consider its role in shaping better decisions that result in improved retention of customers and employees and bigger revenue turnovers, then yes, big data does generate significant ROI. We know that data can be misleading if we look at the wrong type. But how do we know which data to pick and which to shove aside? This is where contextualization comes handy. This can be built around three data types — demographic data (customer information, preferences, purchase patterns, etc. ), historical data (customer interaction history, records of buyers’ journey, etc. ), and situational data (real-time data, online activities, device usage, etc.). When the metrics are well-defined, it’s easier to capture info that’s relevant to your business. Simply twiddling with data because everyone’s talking about it can be a poor investment, if not downright dangerous. But, driving your business forward using information that you’re not even sure is what you need to be analyzing can also be risky. Contextualization — defining the data that may be most valuable for your business — takes the guesswork out of the equation. The benefits of big data spans across industries. The latest reports from GE and TEKsystems conclude it is a major factor for business success. GE’s Global Innovation Barometer found more than two-thirds of its global participants considered big data a critical factor for business innovation. Nearly six out of 10 IT leaders surveyed by TEKsystems expect big data spending to increase following its ability to meet business demands. Big data: A Bubble Or a Boom? There is a lot of hype around big data. I agree almost to the point of being ridiculous. However, we need to look at big data as a tool that helps to steer our business decisions and not as a magic bullet that will rid us of all of our business problems. So it boils down to this — big data may be everything that today’s businesses need and even more than it is cracked up to be. But until businesses start to use the right data, it’s just a bubble. To make data useful, businesses need to explore how to implement it across different organizational functions — from sales and marketing to operations to finance. Otherwise, it is just another empty business buzzword. This article was originally seen on Millennial CEO blog.